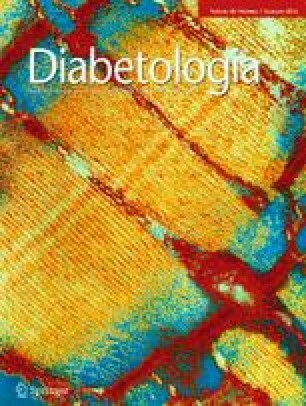 The aim of this study was to estimate the incidence of type 2 diabetes (primary objective) and hospitalisation for cardiovascular events (secondary objective) in women with previous gestational diabetes mellitus (GDM) and in those with normal glucose tolerance (NGT) in pregnancy, and to evaluate the role of stillbirth in differentiating the risks. This was a population-based cohort study using administrative data and involving 12 local health authorities. Women with GDM (n = 3,851) during the index period from 2002 to 2010 were propensity matched with women with NGT (n = 11,553). Information was collected on type 2 diabetes development and hospitalisation for cardiovascular events. During a median follow-up of 5.4 years, the incidence rate per 1,000 person-years of type 2 diabetes was 2.1 (95% CI 1.8, 2.5) in women without GDM and 54.0 (95% CI 50.2, 58.0) among women with GDM and pregnancy at term (incidence rate ratio [IRR] 26.9; 95% CI 22.1, 32.7 compared with NGT and pregnancy at term). A history of stillbirth increased the risk of type 2 diabetes development by about twofold, irrespective of GDM status. No significant interaction between stillbirth and GDM on type 2 diabetes risk was found. GDM was associated with a significantly higher risk of cardiovascular events compared with NGT (IRR 2.4; 95% CI 1.5, 3.8). Pregnancy complicated by GDM and ending in stillbirth represents an important contributory factor in determining type 2 diabetes development. Women with GDM are at a high risk of future cardiovascular events. Women with pregnancy complicated by GDM and stillbirth deserve careful follow-up. The online version of this article (doi: 10.1007/s00125-014-3403-9) contains peer-reviewed but unedited supplementary material, which is available to authorised users. We thank the Regional Health Agency and the Department of Health of the Puglia Region for their cooperation, general interest and provision of data. The study had no external funding source. AN had full access to all study data and takes responsibility for the integrity of the data and the accuracy of data analysis. BP, AN and GDV made substantial contributions to the conception and design of the study. ADE and VL acquired data, and GL, FP, AN, BP, GT, MSc, MSa, GDB and MCR analysed and interpreted the data. BP, GDV and AN drafted the article. FP, GL, GDB, GT, MSa, MCR, VL, ADE and MSc revised the article critically for intellectual content. All authors approved the final version. AN is the manuscript’s guarantor and affirms that the manuscript is an honest, accurate and transparent account of the study being reported; that no important aspects of the study have been omitted; and that everyone who contributed significantly to the work is listed in this author contribution section.